six 2.5 hour morning workshops, covering topics including "Getting Started", "Characterisation", "Point of View", "Setting", "Plotting" and "Editing"
The serene, inspirational surroundings offer time for writing, relaxation and recreation. There is a swimming pool on the grounds exclusively for the use of students. The first workshop will be on Sunday morning, 9 June. 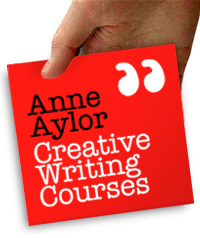 Despite the course title, short story writers, creative non-fiction writers, playwrights and poets are welcome to hone their skills or use the week as a retreat. The course will take place near the village of Camós in the Girona Province of Catalonia. The venue is La Torre de Dalt, a beautifully renovated 17th-century stone house surrounded by olive trees, pine and oak forests. Girona and the medieval town of Besalù are 20 minutes by car. There are 11 en-suite single rooms. Two double rooms (2 sharing, not en suite) will become available once all singles have been booked. Contact us for prices if you want to join the course but will not need accommodation. Let us know which meals you will join us for. In addition to omnivores, we are happy to cater for vegetarians, vegans and those on dairy- and gluten-free diets. Please provide us with information on any special dietary requirements when booking. Lee Pennington is your excellent chef. Afternoons are free. You can write, read, swim, relax, take a siesta or an inspiring walk to Banyoles Lake which is 55 minutes away on foot. The workshop will be open to anyone with a serious desire to write, from beginners to published novelists. You need not to have started a novel to enrol. All sessions will be conducted in a friendly, constructive atmosphere which will help you develop, plan and expand your manuscript. Bound notebook, pen & a spare. Clipboard. Photocopies if reading on Open Mic nights. IF YOU&apos;VE BEEN TO LA TORRE BEFORE . . .
Students love La Torre and often come back. If you have done the novel workshop before, you are most welcome to use the week as a writing retreat. All group and private tutorials are voluntary and any writer wishing to use the time to write will be free to do so. On most evenings there'll be the opportunity to share prepared work. Word limit: 1300 per session. For best feedback, you will need to provide copies which will be returned to you. 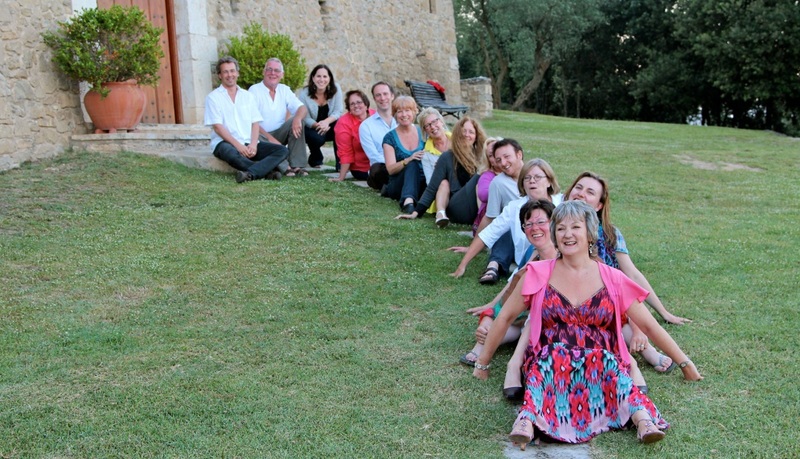 Three short videos capture the relaxing, festive and hardworking atmosphere at "Writing Retreat in Spain 2012", "Writing Retreat in Spain 2011" and the 2010 novel course, also at La Torre, "Homage to Catalonia". Several students spoke to camera about their 2011 stay at La Torre, as did new and returning students on the 2015 workshops. Girona airport is the closest to the venue. In case you'd like to stay in Girona for a day before or after the course, we shot this footage in this beautiful old town. La Torre de Dalt have their own very appealing gallery of images of the venue. Flights: RyanAir fly to Girona. Train: The Eurostar/TGV now runs to Girona/Gerona. If you arrive in Girona train station, buses are beneath the train station. Take one to Banyoles which is a 30-minute ride. 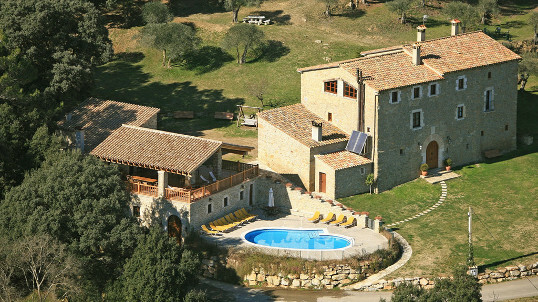 A taxi can then be taken to Camós which is 4 kilometres from Banyoles. Students will be responsible for transport to/from Camós. Bus: There is a bus from Girona Airport to Girona where you transfer for a bus to Banyoles. Taxi: A taxi costs approximately €50 (2015 price) from the airport to Camós. If several students are arriving around the same time, a taxi can be shared. Nearer the time, we can put students arriving on the same flight in touch with each other. If you are a passport holder from a country outside the EU, you will need to check if a visa is necessary to enter Spain. Students are responsible for obtaining any visas, or other travel documents, necessary to enter the country. If this applies to you, click here for further information. You are advised to travel with a passport which has a minimum of 6 months left before its expiry. Officially, it's 5.00PM on Saturday. However, depending on the activities of the previous week, we may be able to get access earlier in the afternoon, but if you can, aim for arriving in Camós by 17.00. There will be no formal tuition on Saturday evening; it is a time to socialise and break the ice before the first formal workshop on Sunday. If several students arrive on the same flight, they might be able to share a cab from Girona. We can recommend a reliable company that will be there to take you from the airport to the door. The course will end at approximately 11.00AM on Saturday so the house can be made ready for the next occupants. By post: Enrolment will be confirmed on receipt of your course fee. A cheque, payable to "Creative Writing Courses", can be posted with your contact details to this address. Bank transfer: To pay a deposit or the full fee by bank transfer, ring 020 7263 0669. Online: Please click the button below to pay now. If you would prefer to pay in euros (approx. €1560), get in touch and we can email you a PayPal invoice. If you secured your place with a deposit, the balance must be paid by 12 April. You are strongly urged to carry travel insurance. Click here for Terms & Conditions.